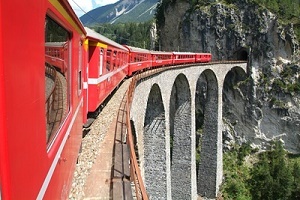 Journey through the Bernina Pass on one of the world’s most scenic railways. Experience the benefits of Whisper headsets, designed for better communication between you and your guides. Experience the enchanting Alpine cultures of Switzerland and Italy as you journey through spectacular mountain scenery and picturesque towns. 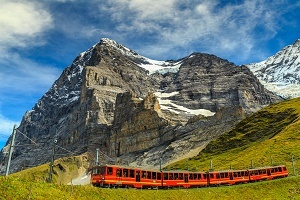 Ride aboard three of the legendary Alpine railways – the Golden Pass Panoramic Train from Gstaad to Montreux; the Glacier Express from Zermatt to St. Moritz; and the Bernina Pass Train, which takes you into Italy. 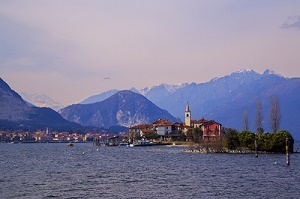 Cruise across two of the most scenic lakes in the world, Lake Como and Maggiore. 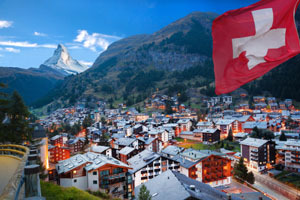 Relax in some of Europe’s most stunning and exclusive resort villages, including Zermatt, St Moritz and Lago Maggoire, Italy. Explore Lucerne, the "Swiss Paradise on the Lake.” Spend time at a family-owned farm where you sample their handmade cheeses paired with wine. Enjoy traditional regional cuisine and Italian delicacies. Savor a traditional Italian dinner on the Isola dei Pescatori. Each Collette motorcoach has upholstered, reclining seats with headrests and individual air-conditioning vents. A high-fidelity sound system broadcasts professional Tour Director's commentary to every seat. Our custom of daily seat rotation gives everyone a variety of vantage points to see the passing countryside and city scenes. Airport transfers may be included when you make your flight arrangements. Breathtaking Alpine vistas await as you travel through Switzerland and Italy. Experience dramatic views while aboard railways and lake cruises, and enjoy cultural experiences in charming villages in the heart of Europe. Arrive in Lucerne and take some free time to explore this lakeside town on your own. Tonight, join your fellow travelers for a welcome dinner in the city. 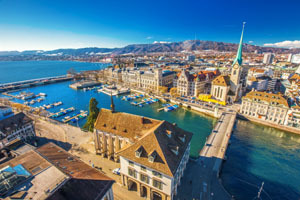 Today, explore this “Swiss Paradise on the Lake.” Enjoy an Altstadt (Old Town) walking tour that follows the ancient pathways of the city. See the covered Chapel Bridge (1333); the famous Water Tower that once served as a prison; the watchtower and treasury; the Renaissance-style Town Hall; the Baroque Jesuit Church; and the Lion Monument, carved from sandstone to commemorate the heroic soldiers who were protecting King Louis XVI in 1792. This morning, travel to Gruyères to discover the history and know-how of making this famous cheese born in Switzerland in 1115. Next, travel along the shores of Lake Geneva to the legendary, medieval Château de Chillon. This princely residence faces the lake and puts forth the image of an imposing fortress from the mountains. Enjoy a guided tour and wine tasting. Then, continue on to the pedestrian village of Zermatt. Today, Zermatt is at your fingertips. It’s your choice! Explore on foot during a guided walking tour. 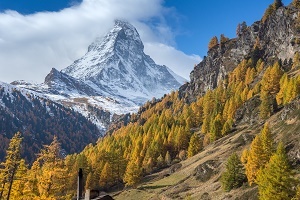 Or, experience Zermatt independently before visiting the Matterhorn Museum; learn more about the triumph and tragedy behind the first ascent of this imposing peak. The remainder of your day is at leisure. Traverse bridges and tunnels while aboard the world-renowned narrow gauge Glacier Express, the most charming express train in the world. 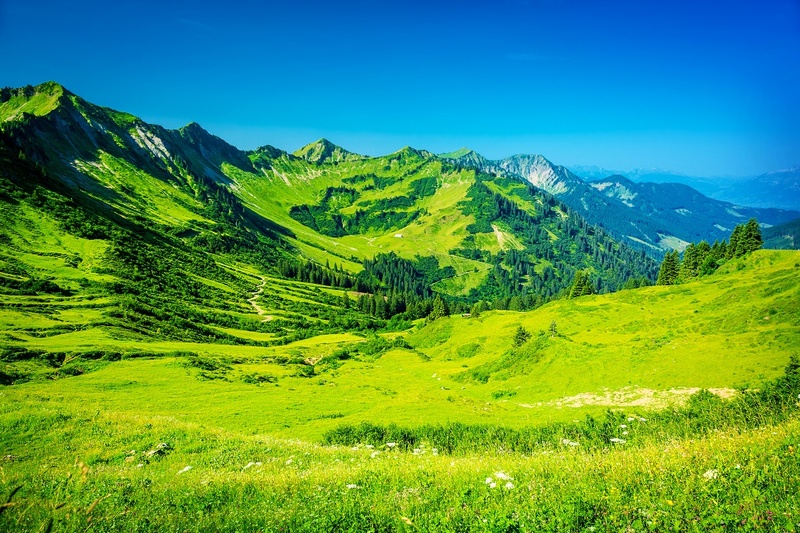 Enjoy the natural beauty of this route through the heart of the Swiss Alps. Filled with forests, fragrant meadows, gurgling streams and deep valleys, it’s a mountain dream come to life. Relax and enjoy a three-course lunch while onboard. Arrive in St. Moritz for your 2-night stay. Embark on a journey through the Bernina Pass while traveling along one of the most scenic railway lines in the world en route to Tirano, Italy. Take in striking views of the Swiss and Italian Alps throughout your adventure, including the famed Morteratsch Glacier. Upon your return to St. Moritz you can relax at your hotel or make use of your included St. Moritz lift pass and take the cable car to the top of Mt. Diavolezza where you can enjoy stunning views of Piz Bernina. Today we make our way back to Italy with a drive to Lake Como. A ferry ride across the waters of Lake Como introduces you to its stunning beauty. Drive along the picturesque shores to the town of Como. You will have free time to explore this famous resort before continuing to Lago Maggiore, a tranquil resort area with crystal clear waters against the backdrop of the Alps. Travel to an ancient village nestled in the mountains. Stop at a family farm where you will learn about the artisan cheeses they produce. Then, sample their delicious creations and learn how to pair them with the region’s local wines. Return to your hotel for a free afternoon. Our evening begins with a cocktail party in a wine shop before we board a lake boat for a cruise to Isola dei Pescatori, the most beautiful of the Borromean Islands. There we savor a traditional farewell dinner. Your thrilling Alpine journey ends today in Lago Maggiore. NOTE: Tour prices are land only rates based on per person, double occupancy. Some dates may feature various changes in hotels, sightseeing and inclusions. Please confirm your specific itinerary at the time of booking. Government taxes and fees are additional. Land rates are guaranteed at time of deposit. Certain taxes and fees are to be paid upon exiting the country in local currencies. Tour-based Airfare is available to coordinate with this tour through Collette Vacations at attractive rates. We will provide our competitive rate to you by email response or phone call as you prefer it. We have access to the U.S./Canada reservations only for this tour. If you reside outside of the U.S./Canada please contact the closest Collette Vacations travel agent in your country of origin. 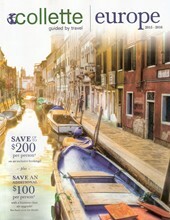 Save today on EVERY Collette Vacation! We provide an additional "Thank You!" for all Collette tour programs. Call or Email us for details about our "Thank You!" Promotion for all first-time tour clients. Offer subject to availability and change without notice. As a full-service travel provider we can help you in finding your perfect tour at the best price available today. 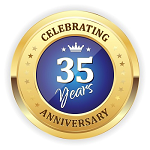 We've been representing COLLETTE VACATIONS for over 35 years. We can take you all the way from your own hometown to some of the most beautiful touring experiences in Europe and then back again - all with the expertise of a seasoned COLLETTE professional travel counselor. When it is important to get it right, you can trust the services of our own professional COLLETTE Certified travel specialists. Please feel free to call us or email us or we would be happy to provide your information via email on the tour form, below. We are available to answer your inquiries in person Monday - Friday (except holidays) from 8:30am until 5:30pm CST (1-877-510-4653 | 817-788-5210). We are available from time to time on the weekends via email to answer your questions. Our typical response time for your email request ranges from 3 hours to as many as 72 depending upon the availability of onsite resources and those of the tour companies and resorts/lodging establishments, as well as any variations you may request from our listed programs. We will respond to your requests as quickly as possible and as soon as we have all components of your package confirmable. All tour program rates are based upon double occupancy unless otherwise specified. Thank you for your interest in this quality tour by COLLETTE Vacations! Certain countries require a minimum of 6 months passport validity. You are strongly urged to contact the appropriate consulate for details. Visit www.travel.state.gov for the U.S. State Department for the latest details about passports and visa requirements. IMPORTANT: We recommend that our clients traveling abroad take a photocopy of their passport and applicable visas. It should be packed separately from your actual passport and visa. We also recommend leaving a copy at home with your emergency contact. Italy is 6 hours ahead of Eastern Standard Time. The currency in these countries is the Euro. Voltage in Italy is 220V. An adaptor (which changes the physical plug) and/or converter (which changes the electric current) are necessary if you plan to use an appliance with voltage different from the standard within the country you are visiting. Please note, if your appliance has dual voltage you may still need an adaptor for the plug. When packing your electronic items for travel, please review the converter electric current level to make sure it is the same or greater than the items you are planning on using. If you plan on utilizing or transporting a sleep apnea machine, please remember to pack an extension cord and adapter plug to ensure proper function. The highest elevation on this tour is 6,000 feet above sea level. Add a touch of personalization to your vacation by selecting from our well-researched list of options. While Collette is known for our many inclusions, we also want to be sure you have adequate free time and options to enhance your vacation – your way. And now, you can reserve your options in advance of your tour! Availability is limited and reservations are on a first come, first serve basis. Payment must be received no later than 15 days prior to departure. Prices are subject to change. Children under the age of 18 MUST be accompanied by an adult. Enjoy the splendor of pure nature while gliding over a clear landscape in panoramic gondolas and spectacular cable cars. Ascend Pilatus via a unique excursion on the steepest railway of the world with a gradient of 48%. Upon arrival at the top, soak in the magnificent Alpine view from 7,000 ft. above sea level. During leisure time at the summit, stroll the walkway for views from a different vantage point, or enjoy Swiss culinary delights on your own in one of the various restaurants (lunch is not included). Return back down the mountain by panoramic gondola for yet another bird’s eye view. This option is available during the months of May - September only. On occasion, this option may not be available due to inclement weather. 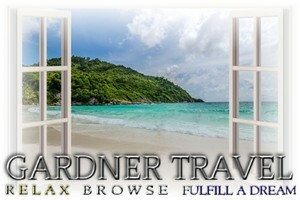 is a global leader of world travel and Escorted Tours, offering 150 vacation choices on all seven continents. We are a family-owned business, now in our third generation of Sullivan-family ownership. Our NO WORRIES cancellation waver means you can cancel anytime prior to the day of departure and receive a full cash refund. Add up the cost of hotels, transportation, meals, sightseeing and entertainment and you'll find what an incredible savings a tour offers. On a tour, you'll find yourself saying, "I never would have thought to try that!" We work everyday to uncover those gems that make your vacation special. Let our experience work for yours. Don't worry about planning the details, getting directions, picking great hotels, or purchasing sightseeing tickets - we do that! Our tour managers are with you from start to finish, taking care of every detail - and brightening your vacation with history and anecdotes that bring the destination to life. A Collette Tour means less time planning and more time enjoying. You pack the bags - we'll lug them around! That's right - when you're on tour with us, we take care of all luggage handling... including the tip! You’ve worked hard. You’ve earned a trip somewhere wonderful in the world. You’re here, on this page, because you are already thinking about it. Collette’s roundtrip sedan service takes you from your home to the airport. It’s included with all air-inclusive journeys to anywhere in the world. It’s yet another reason to travel even more. Not valid on group travel. Included in many U.S. cities within a 50 mile radius of more than 90 airport gateways. Service is available between 51 and 75 miles for a small fee. One transfer per room booking. Additional stops are not permitted on route. For parties of 3 or more alternate vehicles may be used. Other restrictions may apply; call for details. We take the hassle out of travel, so you have all the fun. Here's how. Our buying power gets you unbeatable value. Our tours include your sightseeing, entertainment, admissions to museums and parks, great hotels and many meals, making it a hassle free experience for you from start to finish. Our hotels are centrally located, so you won't waste a second of your free time in buses or cabs. Even your luggage is managed for you. We planned ahead, so Europe with us is still a bargain. We can provide a vacation to Europe, for example, at 15% less than you would pay if you planned it on your own. There is no better time than now to buy a packaged vacation. Imagine seeing Thailand for less than $90 a day, and that includes your hotel. On our Thailand - Ancient Capitals and Countryside tour, you'll ride an elephant and cruise the Mekong River into Laos, just two unforgettable included experiences among 14 days worth of discoveries You'll also enjoy 26 meals on tour, including a dinner cruise on a rice barge. See the Golden Buddha, the ruins of Ayutthaya and Sukhothai, the colorful pageantry of a Hill Tribe cultural show - it's all included! It's like traveling with a friend who knows the area. Your tour manager will be with you every step of the way, handling the tedious details of travel, while you relax and enjoy the trip. They are seasoned professionals with in-depth knowledge about your destination and a passion for sharing it. Our tour developers personally scout out the best for you. They search for accommodations, restaurants, attractions and entertainment to assemble not only a fantastic trip, but create an entire experience that captures the spirit of your destination. Learn the secrets of Tuscan cuisine from a Florentine chef in Italy. Fly a kite in China. Feed a kangaroo in Australia. Our tour developers love creating those unforgettable moments that make your trip uniquely yours. We've got something for everyone, from Branson to Beijing. Collette Vacations travels to more than 150 destinations on all seven continents. We also offer Explorations by Collette, small-group tours with a maximum of only 16 - 24 passengers that wander off the beaten path. Explorations tours feature boutique hotels, outdoor activities and interaction with local people. What exactly is your cancellation waiver? We have the best cancellation waiver in the industry-period. You can cancel your trip up until the day prior to departure for any reason - sickness, change of heart or any reason whatsoever-and you will receive a full refund, minus the small cost of the insurance. That's a cash refund, not a voucher or certificate. There's no risk when you book with Collette. Not at all! Let's say you were planning to take our Italian Vistas tour for 13 days. The land-only waiver is just $170 per person. That breaks down to about $13.07 a day-just a little over eight euros! The land and air waiver is only $30 more. That's airplane peanuts compared to the peace of mind you'll enjoy. Exception: If you originally purchased non-refundable airline tickets, the Waiver does not provide a refund for the airline tickets, taxes or fees in the event of a cancellation or a return transportation benefit if you must return home early. The air waiver does not cover medical evacuation or additional expenses associated with a medical emergency. The Waiver Fee does not cover any single supplement charges which arise from an individual’s traveling companion electing to cancel for any reason prior to departure. In this case, the single supplement will be deducted from the refund of the person who cancels. Division of this charge between the two passengers involved is solely their responsibility. If insufficient funds are deducted from the canceling client, the traveling client will be charged the remaining portion of the single supplement. Payment of the Waiver Fee (if chosen) must be received by Collette Vacations with your Deposit. The Waiver is non-transferable and valid for each applicant only. Collette Vacations can assume no responsibility for and cannot be held liable for any wrongful, negligent or unauthorized acts or omissions of any travel agent or travel agency other than that of Collette Travel Service, Inc. itself, and its own employees. PART B CONDITIONS & LIMITATIONS Certain exclusions and limitations apply and are detailed in the Certificate of Coverage. For example, coverage does not apply to: any sickness or condition of you, a Traveling Companion or an Immediate Family Member traveling with you that existed during the 60 days prior to the effective date of the coverages (this exclusion is waived if your plan payment is received by Collette Vacations within 7 days of your initial deposit/payment for your trip and you are not disabled from travel at the time your plan payment is received), suicide, normal pregnancy, war or any act of war, mental or nervous disorders. A Traveling Companion is defined as a person booked to share accommodations in the same room with you during your trip. Sickness or injury must require care by a Physician and must commence while the Travel Protection Plan is in effect for you. This plan does not cover a loss that results from an illness, disease, or other condition (of you, an Immediate Family Member, Traveling Companion or Business Partner), event or circumstance which occurs at a time when this plan is not in effect for you. If cancellation occurs prior to departure, contact the Collette Vacations Reservations Department. When a client cancels prior to departure any due refunds are processed through the booking agent. Agent commissions are not protected if cancellation occurs prior to departure. When purchasing pre and post night accommodations, including optional extensions, the number of days will be added to the total number of tour days, and may subsequently alter your waiver fees. Please confirm with your reservation agent at time of booking. The Cancellation Waiver fee with air can only be purchased by individuals who have purchased air through Collette Vacations. Collette Tours is a NON-FEE buy! We will not charge a fee for any/all tour planning for Collette Vacations. Our services are absolutely free when servicing this quality program. Rest assured, you will receive the quality that you expect and the unique value of a well-designed tour program from the beginning and planning stage to the culmination of this exceptional journey. 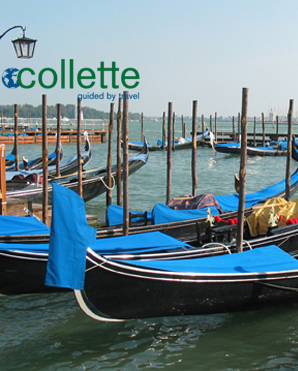 Experience the Collette Difference with Gardner Travel! AND IT MEANS OUR PEOPLE TAKE CARE OF EVERYTHING SO YOU DON'T HAVE TO!